The book 'The wisdom behind emotion and feeling' is her first book in English. Wendy loves to inspire and support you in your personal and professional growth. Please visit the website consciousliving.eu for further information, blog and shop. Please note: The wisdom behind emotion and feeling is a book for adults of all ages. The illustrations offer emotional safety. Young adults (16+) can read the book with support of a parent or health care professional. 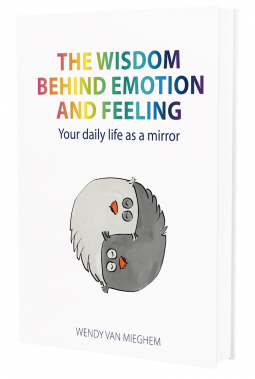 Anyone who is truly interested in the book 'The wisdom behind emotion and feeling' is welcome to have a look, read, write and/or talk about their experiences with the book.